LONGMONT, Colo.—In 2011, Left Hand made history and pioneered the way for beer drinkers to enjoy a draft-like experience at home with the release of Milk Stout Nitro bottles. Left Hand Brewing Co. is back at it again with the first ever US production run of a US made nitro widget can. Milk Stout Nitro cans will make Left Hand’s most popular and influential beer more accessible than ever. Now nitro fans can take the beer on the go and drink a perfectly smooth and creamy Milk Stout Nitro right from the can. While a glass is recommended for the perfect pint from any package, cans bring greater drinking versatility. “Beer fans have been asking for Milk Stout Nitro in a can for years. We have been exploring options for some time with the hopes of being able to someday deliver. We started canning some of our core and seasonal brands last year, but engineering our canning line to produce nitro with the highest quality and finding the right widget to produce the perfect draft-like or Hard Pour bottle experience took some time. So, we are very pleased to now offer beer drinkers, without a stout glass in reach, the ultimate nitro experience with the versatility of a widget can and our award-winning Milk Stout recipe. We hope it makes stout lovers rejoice,” said Sarah Watson, Left Hand Brewing Co. Marketing Director. 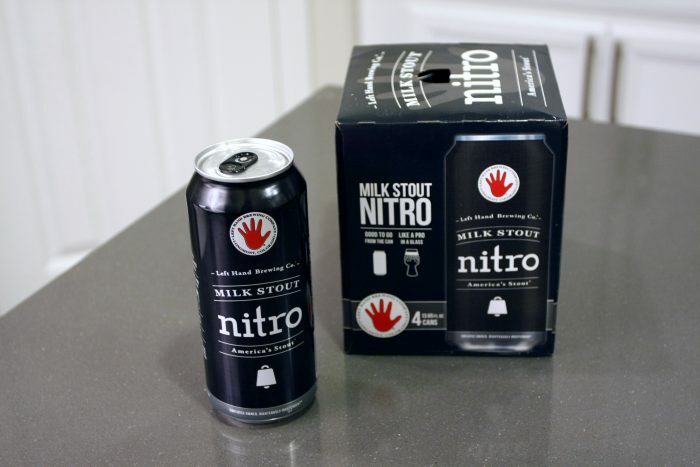 While Ball had previously worked with US craft brewers to supply widget cans, Left Hand Milk Stout Nitro cans are the first being produced in the US. Ball completed the installation of their first US widget line in March amid growing interest around the nitro experience. The US widget by Ball is different than the widget used by the global brand Diageo, parent company of Guinness, that have a ball-shaped device floating in the liquid which releases nitrogen wherever it is the liquid upon opening. This US widget looks like a small top hat that is adhered to the bottom of the can which provides a consistent nitrogen release from the bottom up. This has shown to provide superior results because it ensures an even and consistent release of nitrogen throughout the beer when opened. “For Left Hand and Ball Corporation, quality is paramount. Both teams collaborated for months, ensuring that proper equipment, specifications, and filling parameters were defined. On the day of the first fill, our teams worked together to dial in all the components to ensure a consistent, creamy, Nitro Milk Stout experience with every can.” said Melanie Edwards Virreira, Marketing Director for Ball. Ball Project Manager Ed Klimkowsky and Ball Sales Specialist Alex Brandt were on hand for the momentous production run. Milk Stout Nitro cans will begin shipping July in Colorado, then across the brewery’s 41-state footprint in the fall along with Milk Stout Nitro bottles, Nitro seasonals and draft. Way to go, Lefthand!!! My favorite brewery’s milk stout is way better than Guinness, any day of the week. Do They distribute anywhere in Delaware?